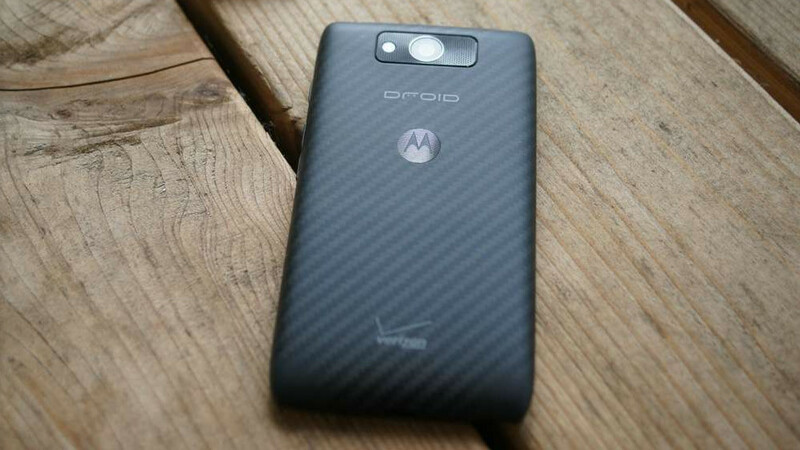 The DROID MAXX, ULTRA, and Mini all started receiving an update to Android 4.4.4 over the weekend that first began last Wednesday with a soak test. 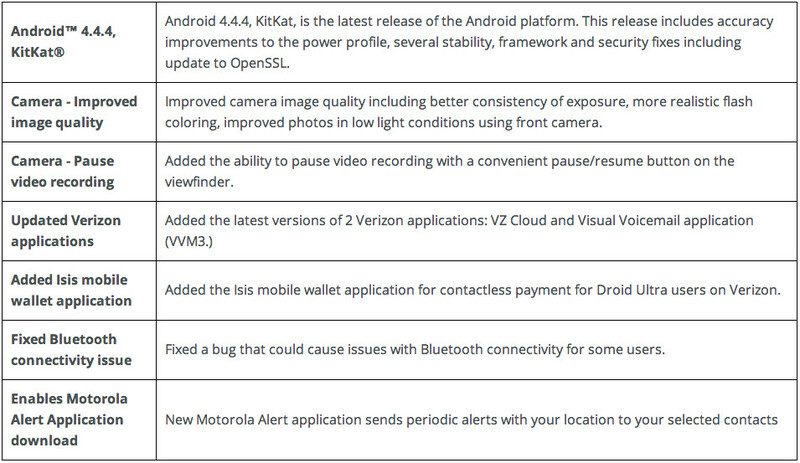 The minor changelog that showed up with the update prompt mentioned that there would be camera enhancements, the addition of Isis Mobile Wallet, and bloatware updates. 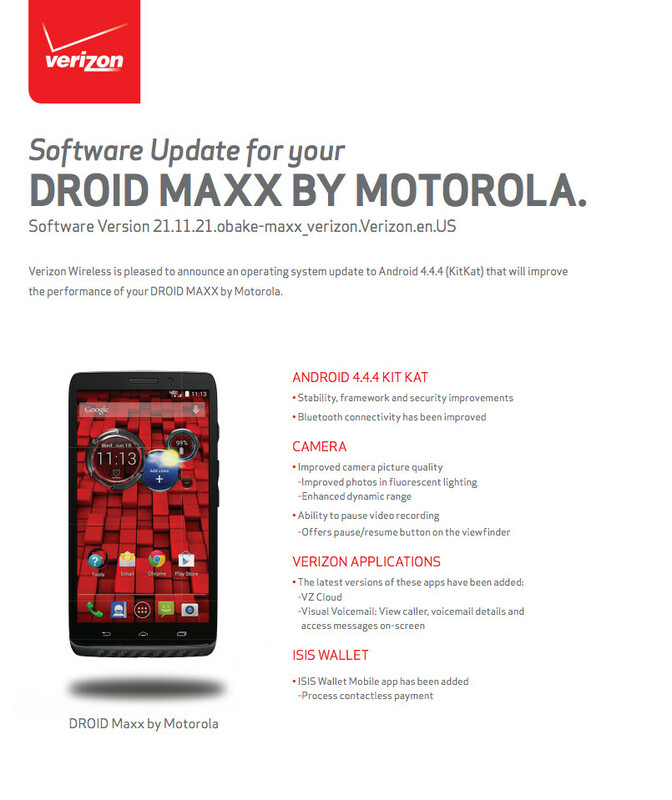 Motorola released a full list of the changes today, along with Verizon’s standard PDF changelogs. The update, as we already knew, is 21.11.21. The device will see stability, framework and security improvements, along with better Bluetooth connectivity. The camera will see enhancements in picture quality, like improved photos in fluorescent lighting and enhanced dynamic range. Pausing of video recording has been added as well. VZ Cloud and Visual Voicemail were updated, plus Isis Mobile Wallet has been added. Motorola also noted in their changelog that Motorola Alert, an app that allows you to alert specific people in times of need, will now be installed. Everyone receive the 4.4.4 update?